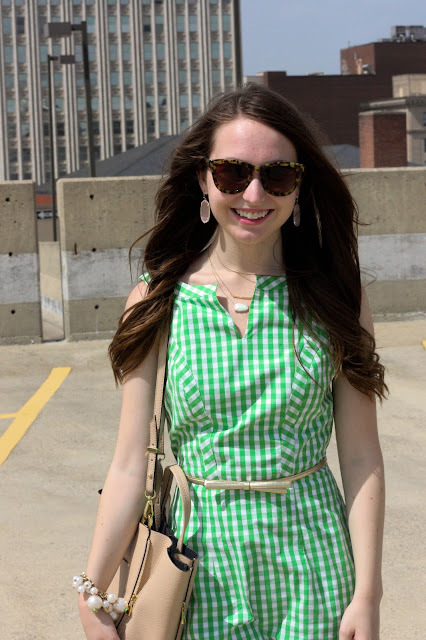 I'm styling this fun gingham dress today made custom from eShakti! I've worn this to church, and I plan on wearing it to work too. 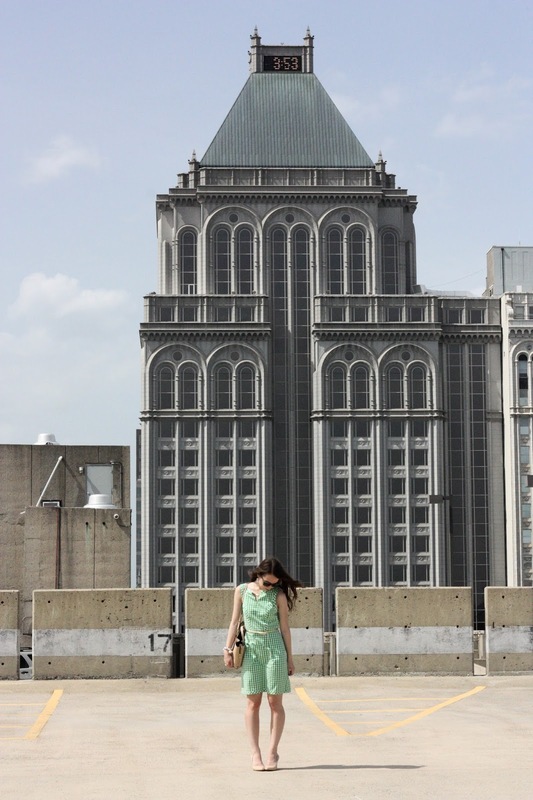 In case you haven't noticed from recent posts, I have a thing for photos on the rooftops of parking decks. This one was a little tough though because it was really windy, which I'm used to dealing with up at school on Lake Erie, but I don't see very often in North Carolina! 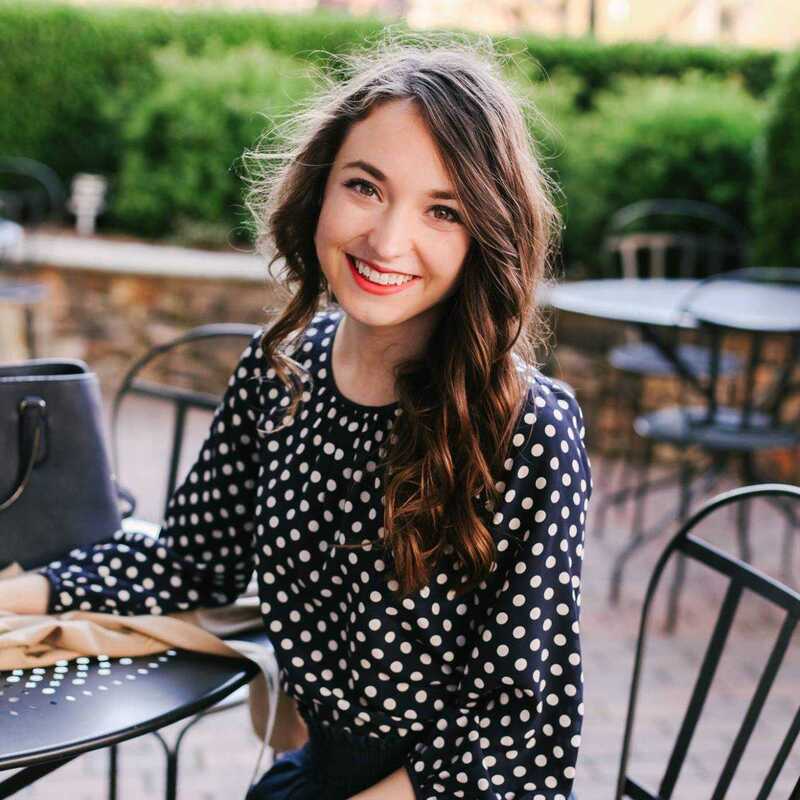 That dress is gorgeous and I love the Kendra Scott necklace! Green looks so good on you! I love this gingham dress! Your KS necklace is gorgeous. This dress is way too amazing! I love how you styled it. 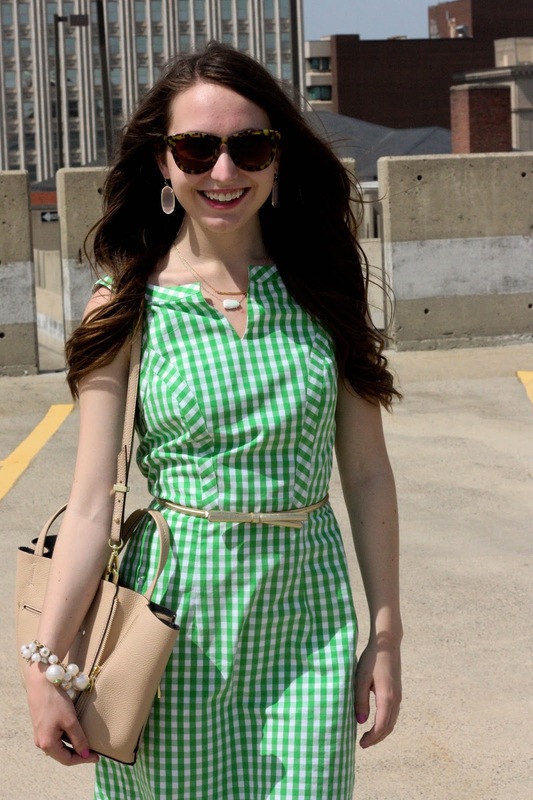 I have been SO obsessed with gingham this summer! PS - where do you go to school? I'm from PGH and my sisters went to Edinboro right near Lake Erie! I live in NC now :). Wasn't sure if maybe we had a TON in common! Ooo love that dress, you look great! Love how you styled it with neutrals to keep most of the attention on the dress! Okay, I love this dress on you!